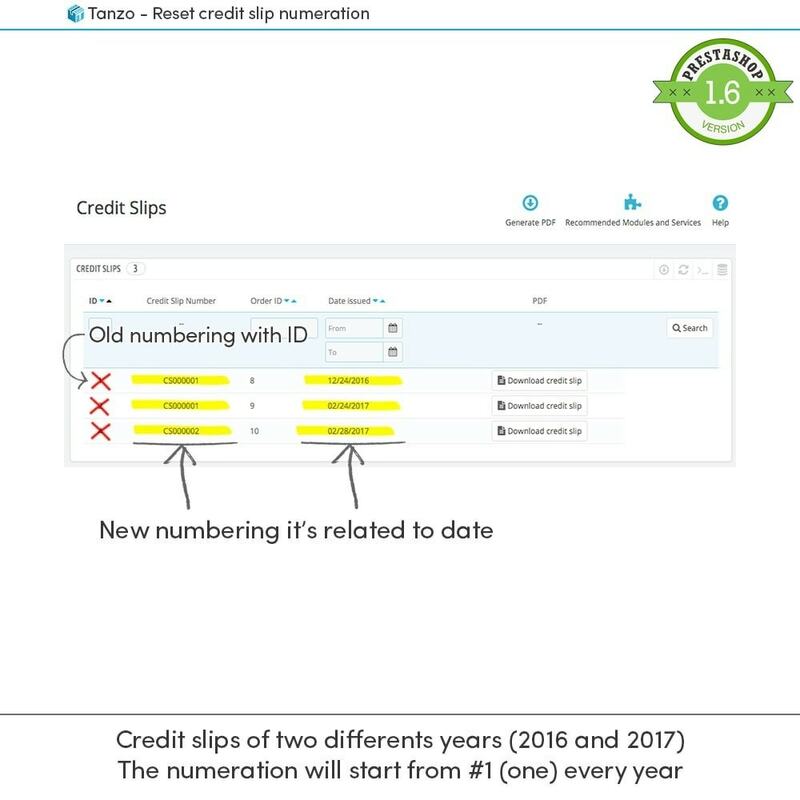 With reset credit slip numbering you will not have to worry about this annoying problem, every year your credit slip will have the correct numbering. No difficult setup! Download, install, done! Usually the billing (invoice number) is reset at the beginning of the new year, why the credit slips should not do the same thing? For any problems during the installation please contact us, will answer as soon as possible to resolve it! 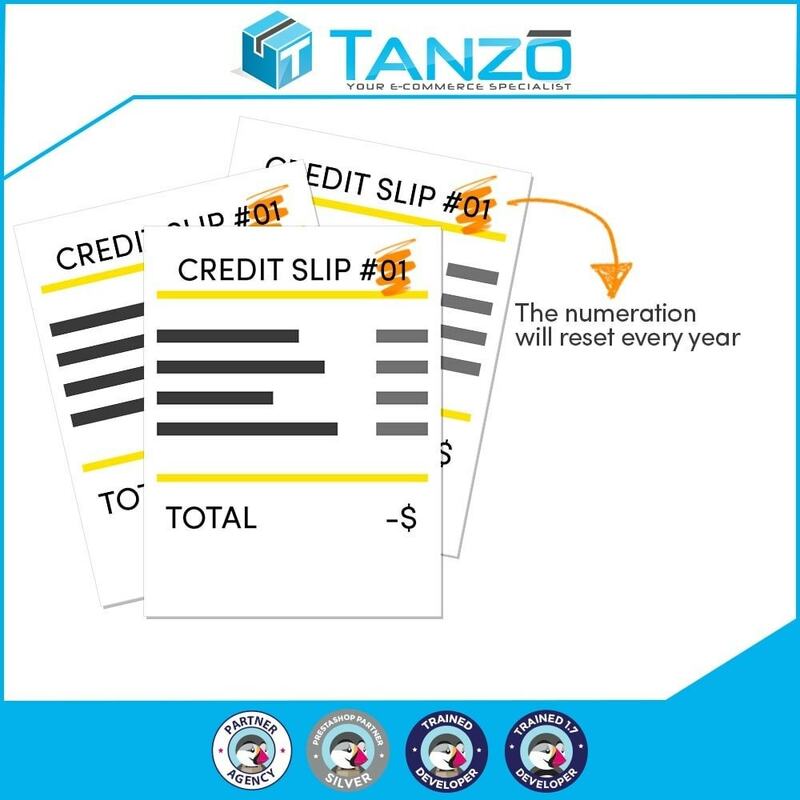 After installing this module the numeration of previous credit slips may will change. The installation can be done on a new shop, or to fix the numbering of credit slips for the current year as well. 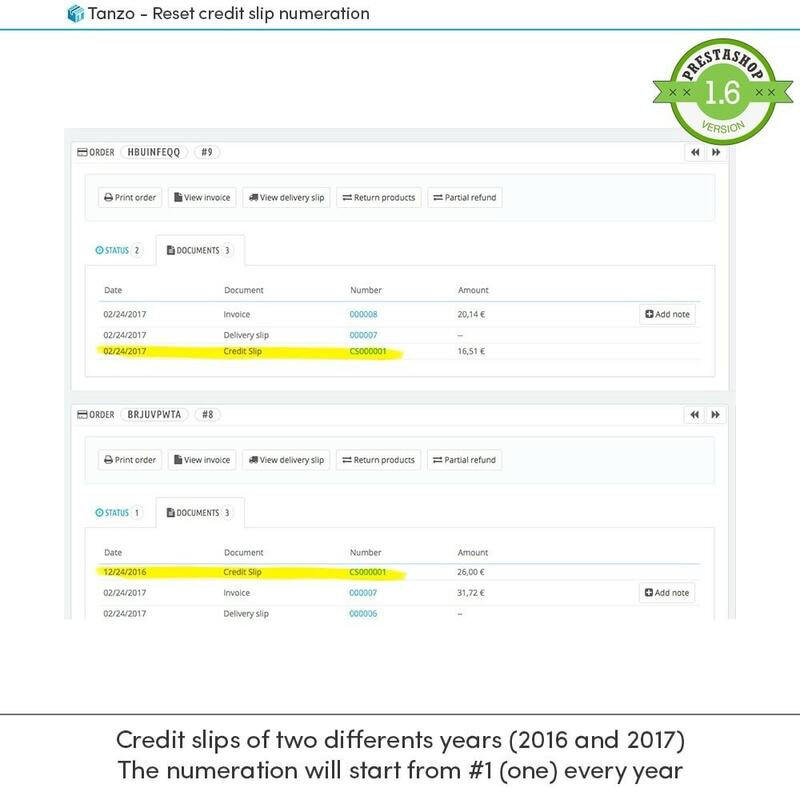 After installing the module, follow the documentation to show the right credit slip number to customers. No fear, it's all explained in the documentation!